Points can be earned every time you make a purchase from us. After each order has been processed, your reward points are automatically allocated to your account, ready for you to spend next time you shop with us! So if you have 200 reward points on your account, that would total €1.00. It’s that simple! In order to redeem your points you must be signed into your account. Points are available for redemption of the purchase of products on our site only. * Not all products are eligible for points to be earned, or points may be offered on certain products at a different rate. ** Not all products are eligible for points to be used against the purchase price, such as some already discounted products. 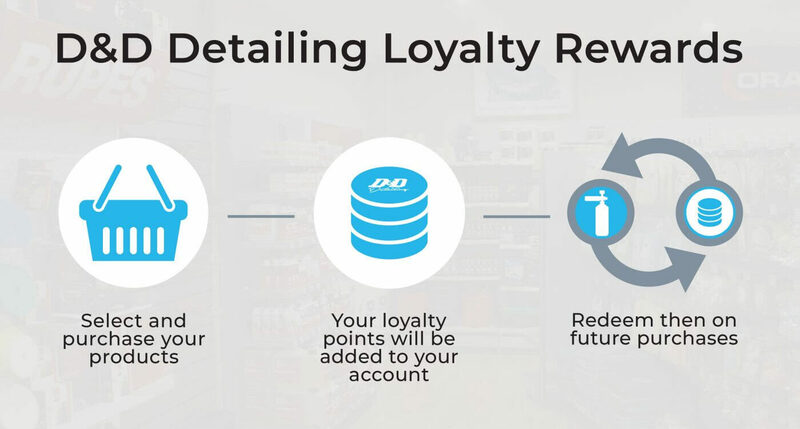 Loyalty points have no cash value and cannot be redeemed for cash or other services such as detailing or services. D&D Detailing reserve the right to temporarily or permanently suspend or otherwise change the way loyalty points can be earned or spent at any time without any prior notice.